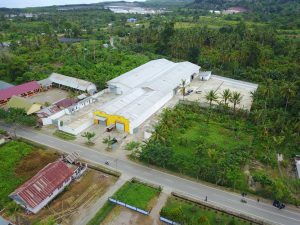 Van Aroma Invest in Sualwesi Clove - Ultra International B.V.Ultra International B.V.
Over the past 8 years Van Aroma has been focusing on the development of a secured and sustainable raw material supply chain from the island of Sulawesi. Sulawesi sits just east of Borneo and incredibly is the world’s 11th largest island. The initial attraction of Sulawesi was to follow the migration of patchouli as it shifted from the more traditional growing areas in Java and Sumatra. Patchouli was, and still is, our largest product but we offer much more than that! Our focus on Sulawesi opened our eyes to a rich resource of other raw materials and the potential to expand this source of raw materials with the support of local communities. As Sulawesi became our second home so our relationships with various communities gave us further confidence to invest and invite potential partners and in doing so we entered into a patchouli sustainability project with one of the top 5 F&F companies back in 2016. 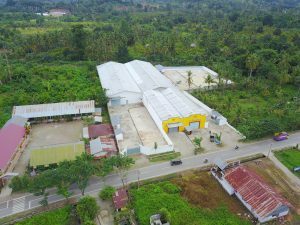 For this project, we have established a demonstration farm and distillation unit in a village called Toari, in the Kolaka Regency. Our partner farmers are now adopting these good agricultural practices on their own farms. We are confident that these improved agricultural practices will not only benefit the farmers in the village of Toari, but also will be disseminated to surrounding towns and eventually to patchouli farmers all across the island. It is our goal to stop the further shift of patchouli beyond Sulawesi, and enable farmers to maintain their crops for the long term. The only negative aspect of our developing a clove interest in Sulawesi is the 2,000 km distance between these growing areas and our main production centre in Jakarta! This is a logistical nightmare in being able to control the quality of the collections at source and test, refine and ship products from our Jakarta facility. That’s said, the potential was clear – the raw material source was in abundance and there is surplus leaf product left over from other industries. However we couldn’t do this from Jakarta so we decided to make a major investment in Sulawesi, and further strengthen our footprint on the island. We accomplished this by investing in our own facility covering ~60,000 square feet in the town of Kolaka. At this location, we have set up Indonesia’s single largest steam distillation plant. This new facility consists of six state-of-the-art distillation stills, which will process up to 12 tons of clove or patchouli herbage per day. In addition, it will house a complete quality control laboratory that mirrors all the capabilities housed at our headquarters in Jakarta (GC, GC-MS, colorimeter, polarimeter, refractometer, density meter, etc). This will smooth the process of testing patchouli and clove oils at source. Our team has even gone to the extent of developing and providing on-site training to farmers for leaf collection techniques using backpack leaf-blowers that will allow them to collect up to 10 times more leaves than they previously did by using brooms. Not only will this allow them to work with a smaller workforce, but also it will allow them to pay off their leaf blowers and other farm equipment through achieving greater efficiencies. We see this backward integration as being strategically beneficial for all stakeholders involved in the supply chain. Not only will this benefit our customers, but it will also allow our farmers and distillers to receive quicker turnaround on approvals with regard to their raw material, in turn improving their cash flows. In addition to having our own sources for clove and patchouli oil, we hope to educate clove farmers about the possibility of generating an additional income from distilling clove oil. More specifically, we will be sharing the designs and specifications of our steam distillation stills, as well as how they can further improve their existing traditional setups by adding insulation, using pellet driven stable fuel, stainless steel inner linings, and safety pressure valves. At Van Aroma, we have always believed in complete transparency with our suppliers and customers, and this, we believe, has been the greatest driving force for our continued success.